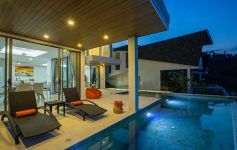 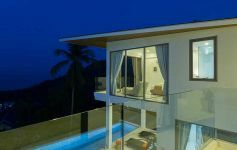 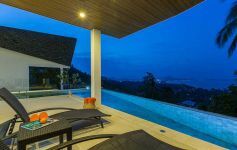 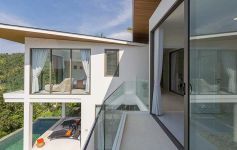 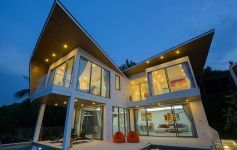 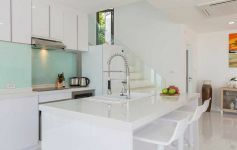 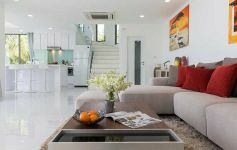 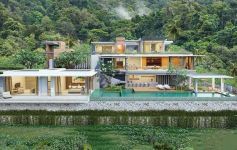 This immaculate contemporary style 3-bedroom pool Villa enjoys a premium location on the hillside of Chaweng Noi within a secure gated estate. 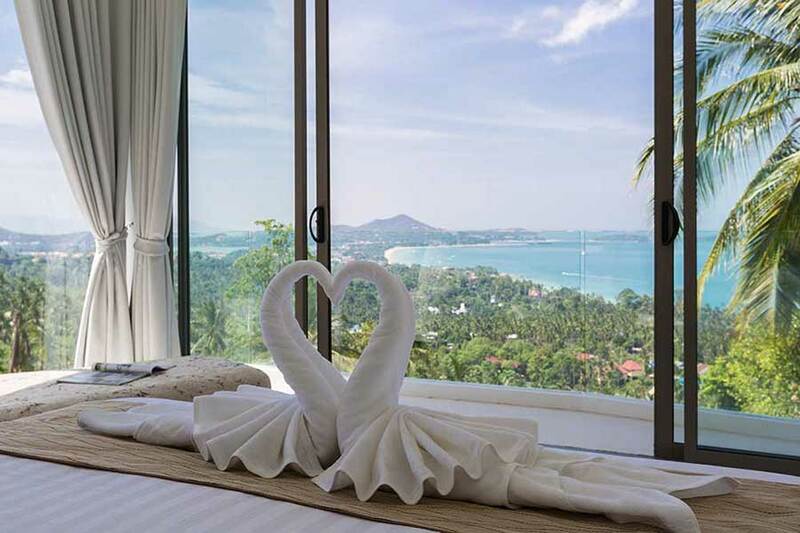 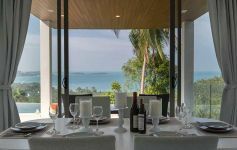 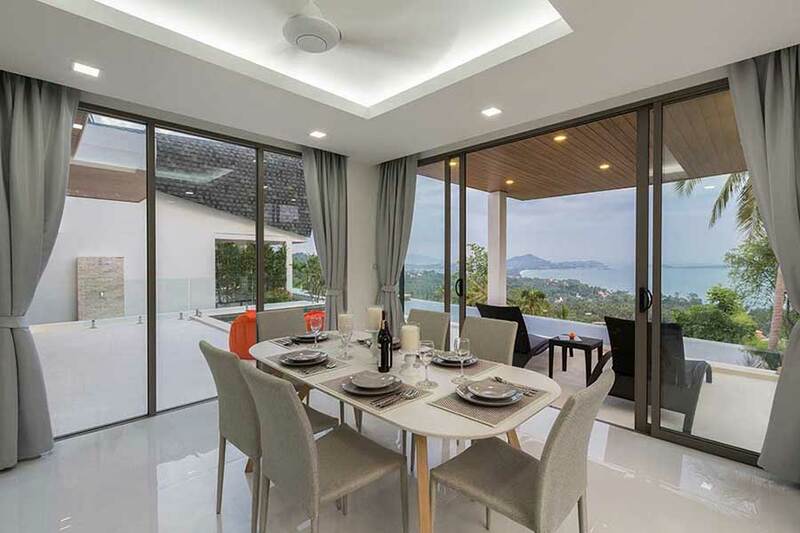 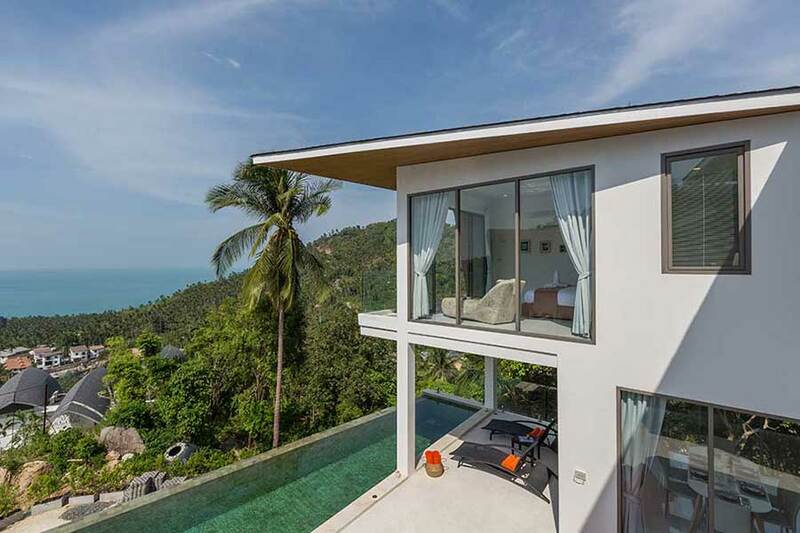 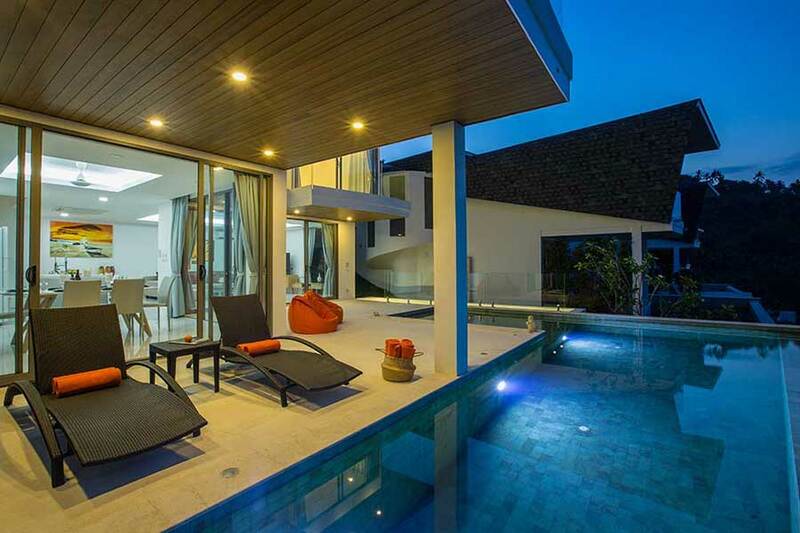 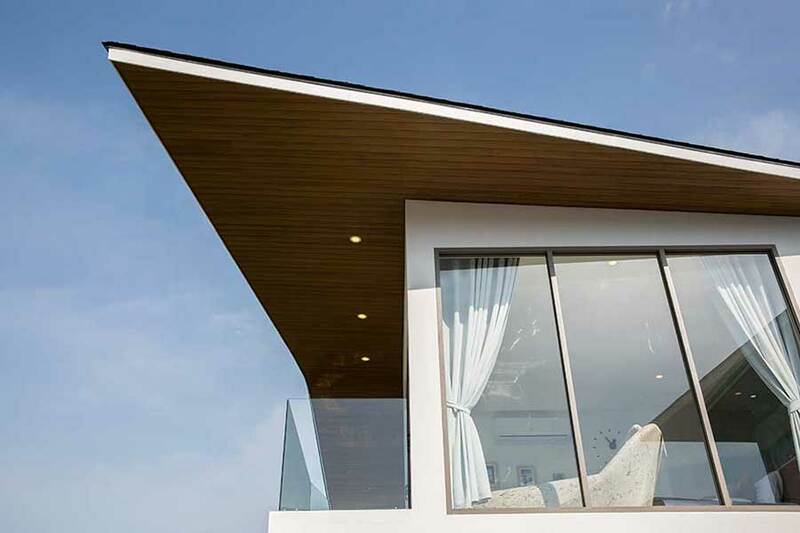 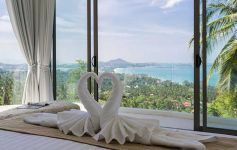 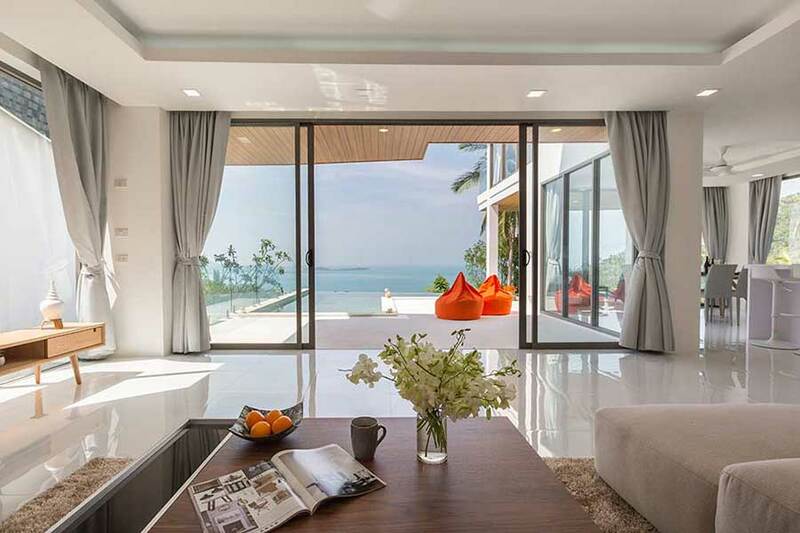 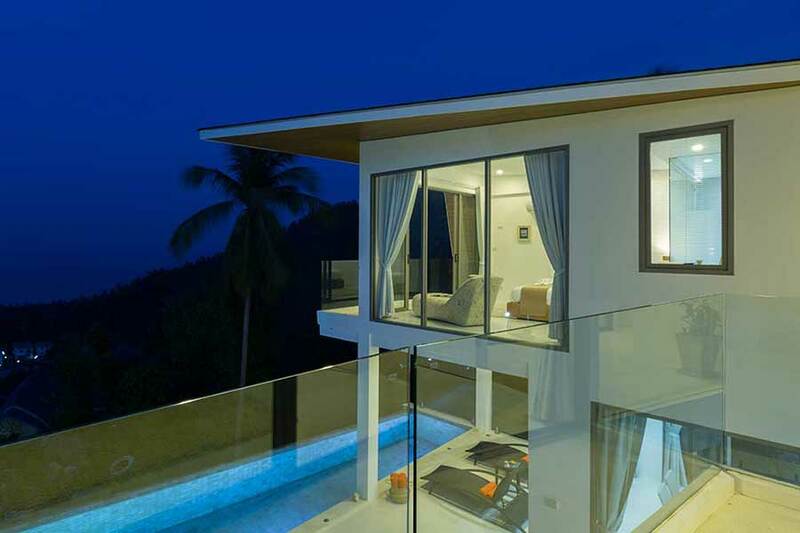 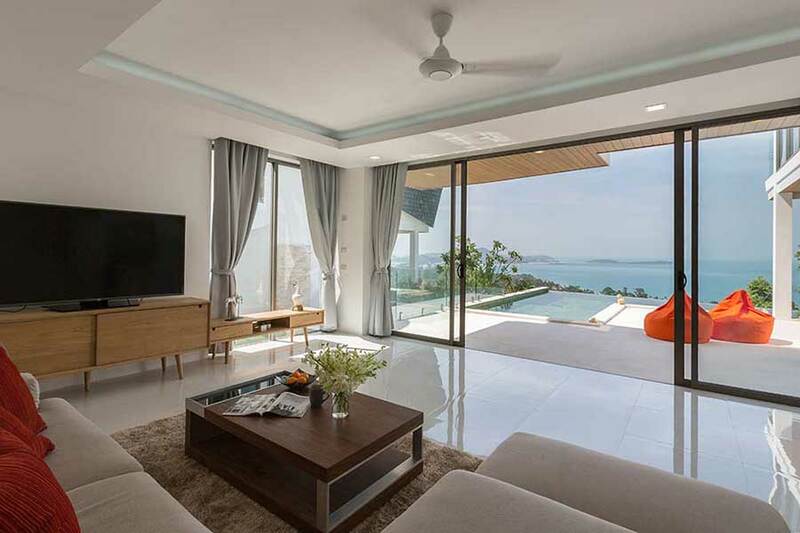 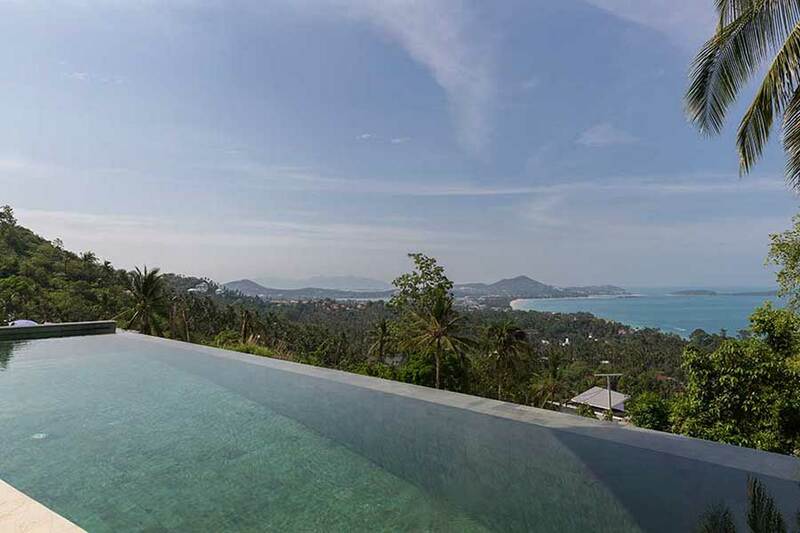 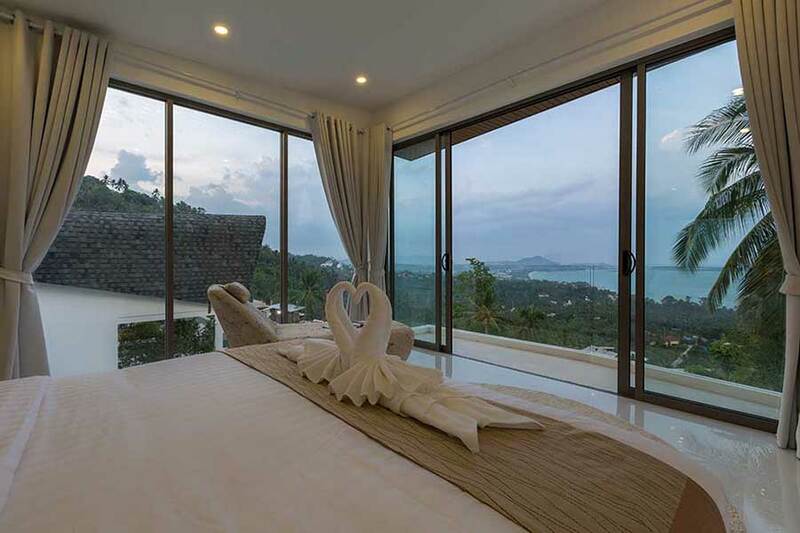 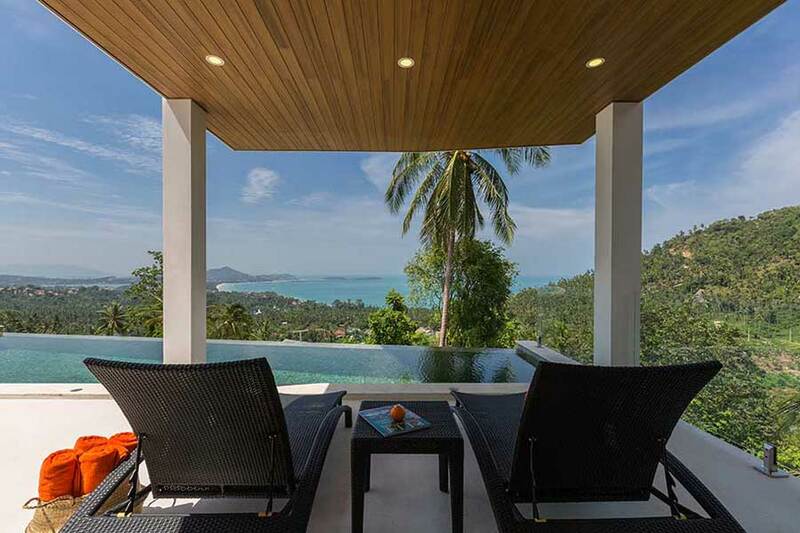 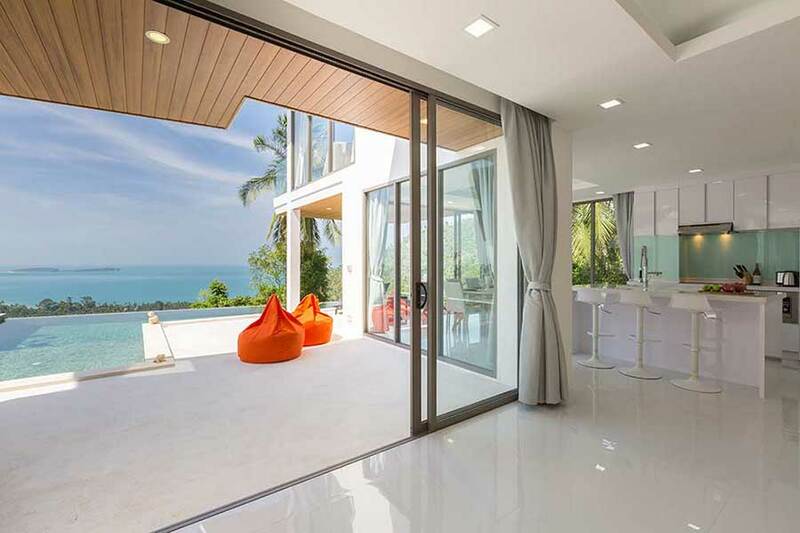 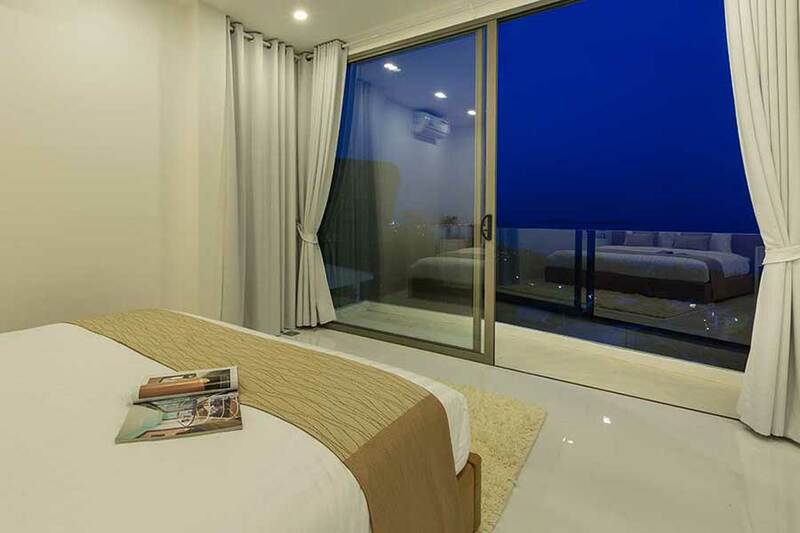 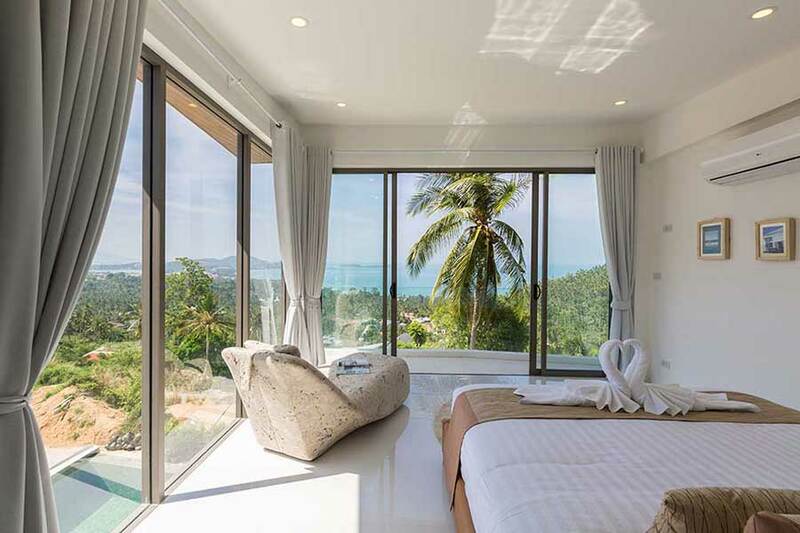 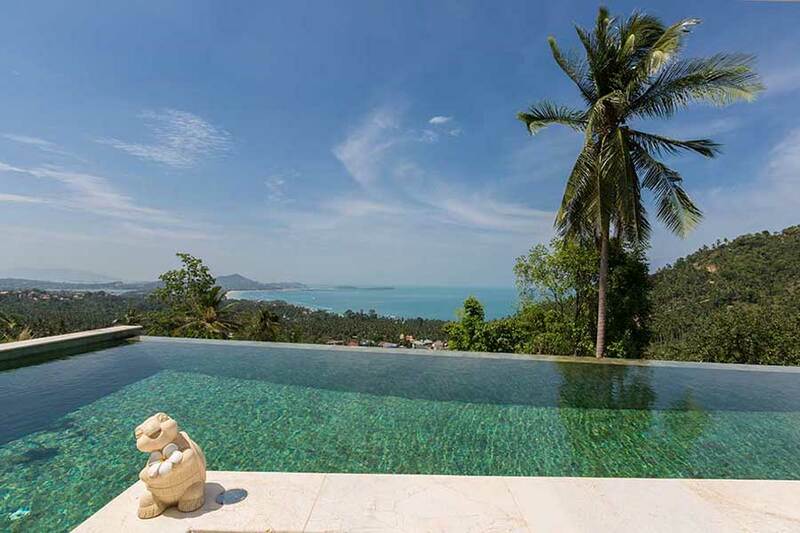 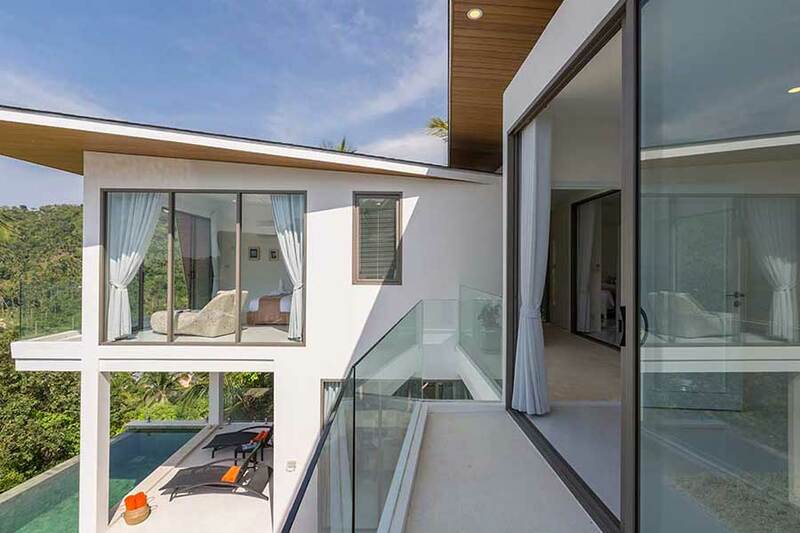 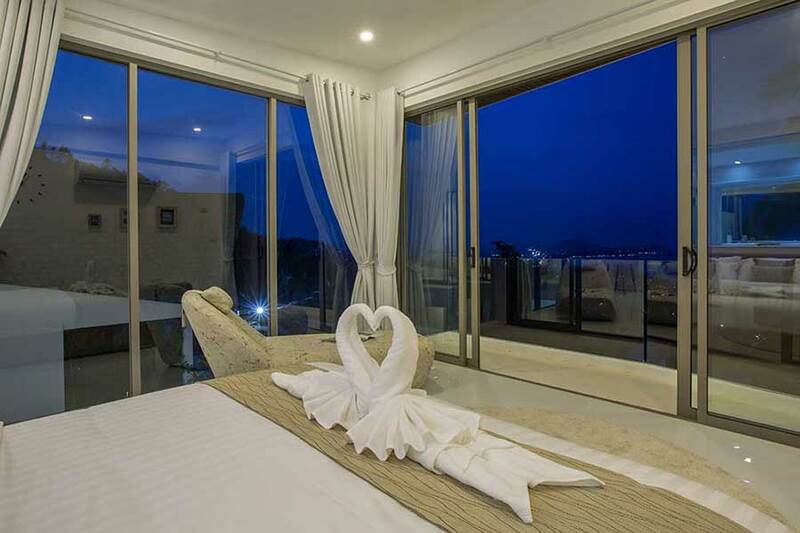 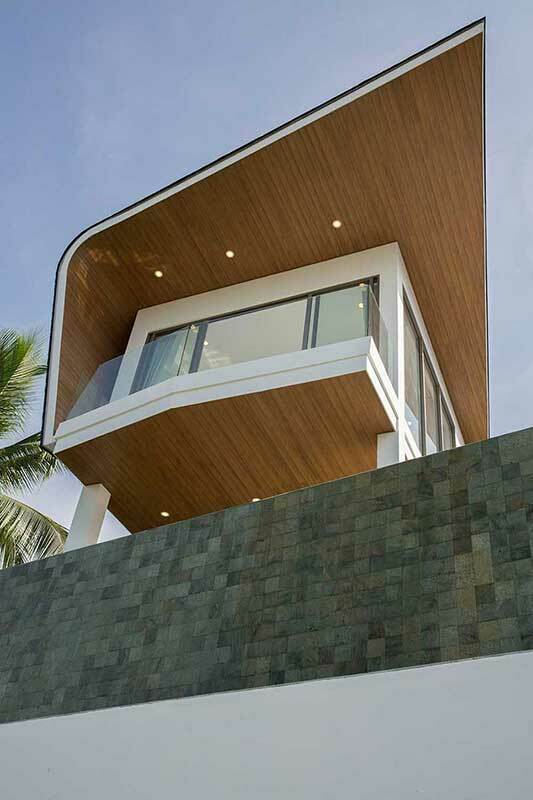 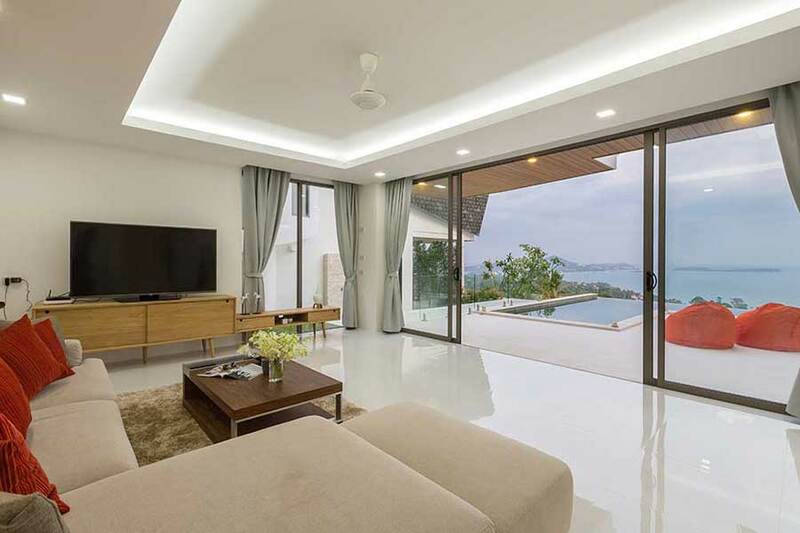 The property boasts spectacular 180-degree views of world-famous Chaweng Bay. 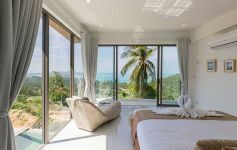 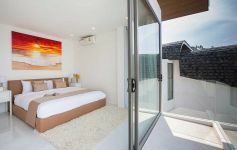 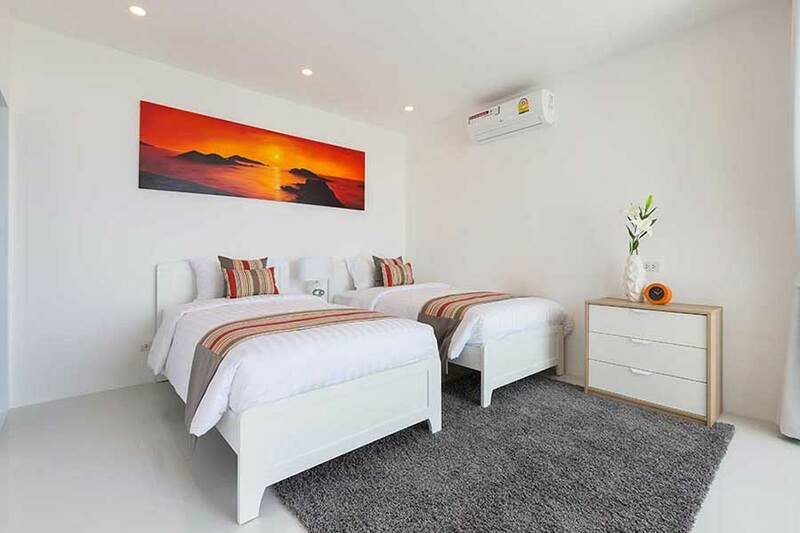 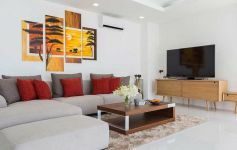 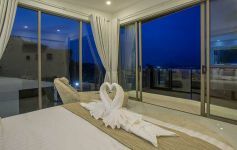 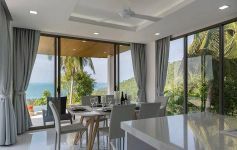 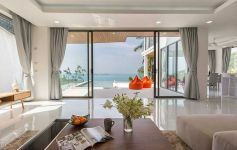 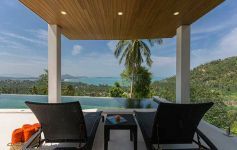 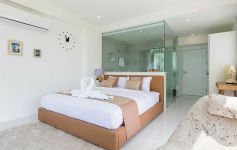 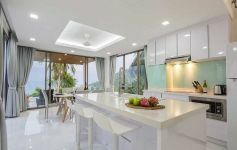 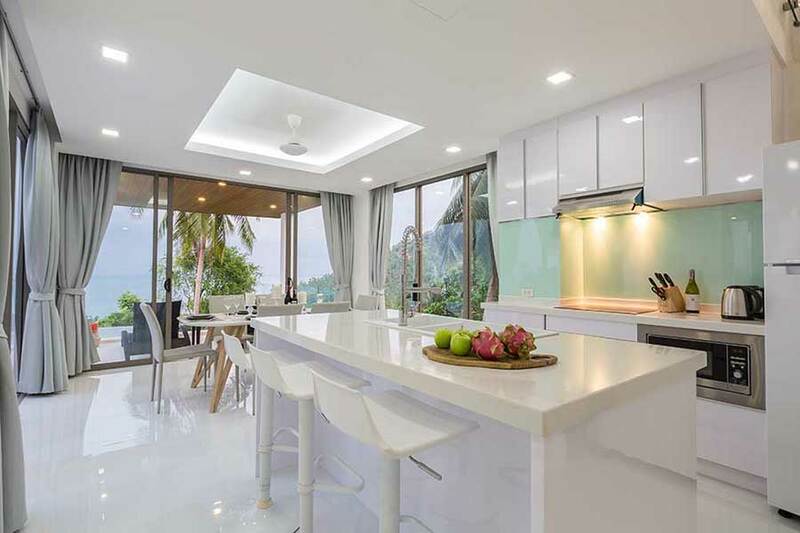 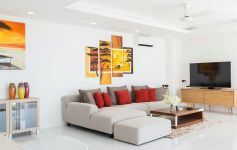 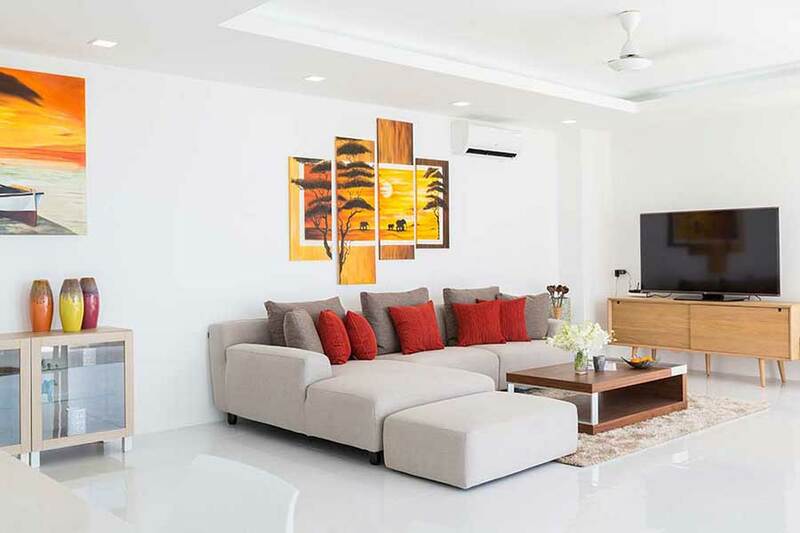 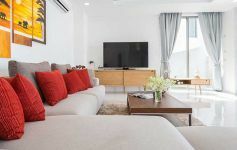 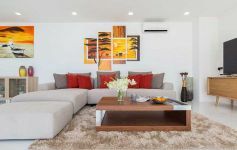 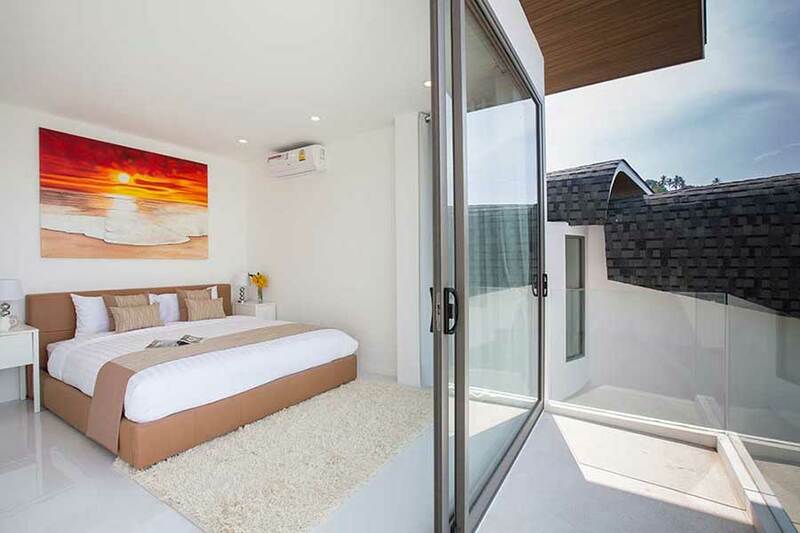 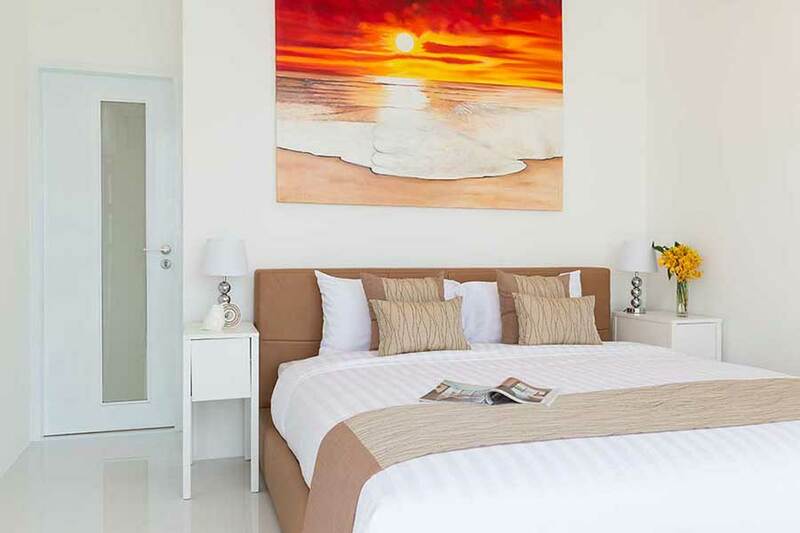 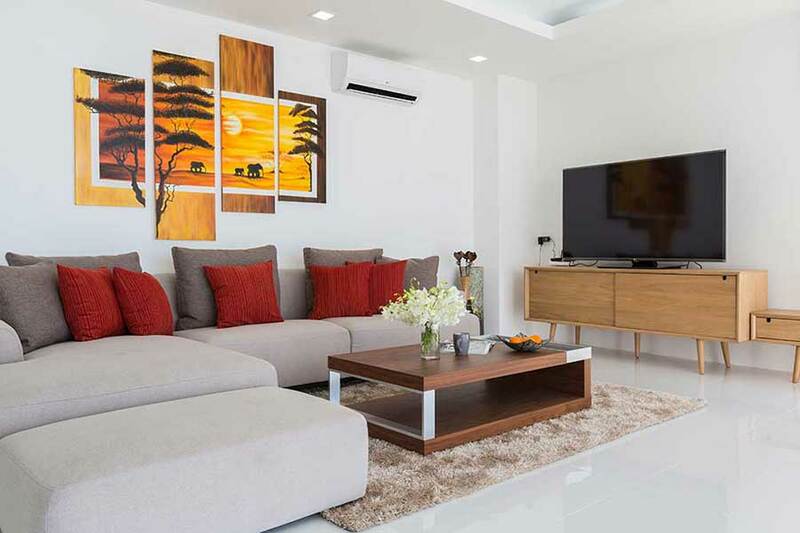 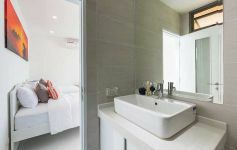 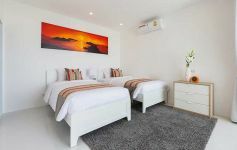 With convenience - close proximity to Chaweng Beach, Samui International Airport and the most important amenities in the north-east of the island -, a great beach, great views and exclusivity, Chaweng Noi certainly ticks the boxes required for a savvy property investment on a tropical island. 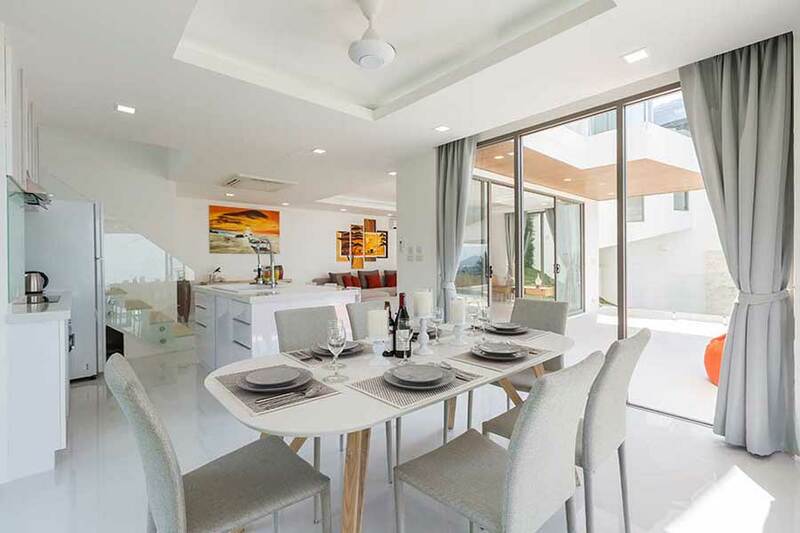 On the lower level is the spacious open-plan living/dining & kitchen area with full-height sliding patio doors opening to the pool terrace. 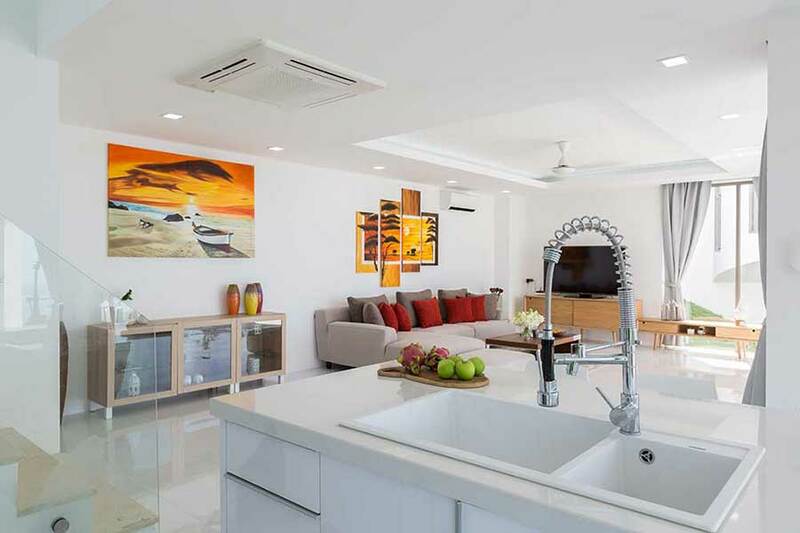 The kitchen is high-spec and fully equipped. 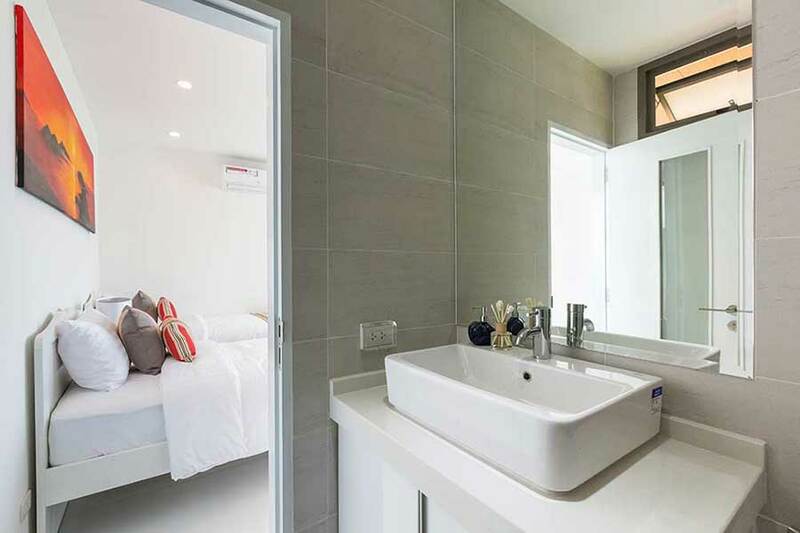 On this level is the 3rd bedroom with its own en-suite bathroom and direct pool access. 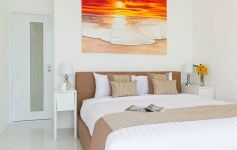 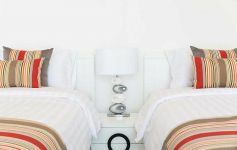 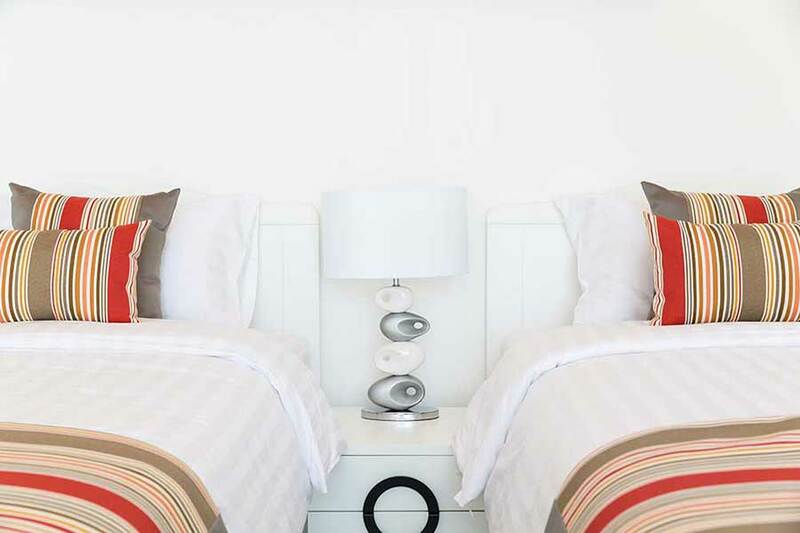 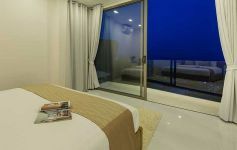 Upstairs is the lavish master bedroom suite and the 2nd double bedroom, both en-suite and with magnificent ocean views. 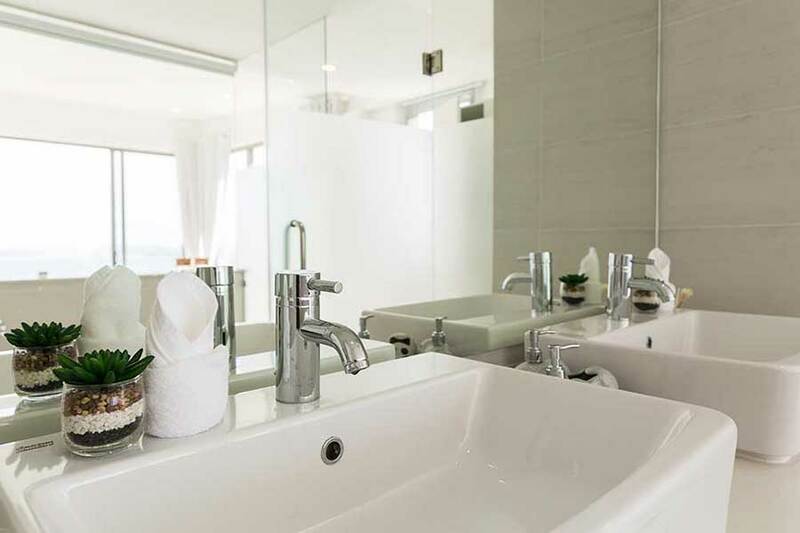 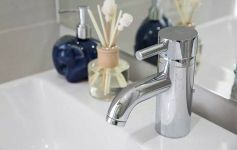 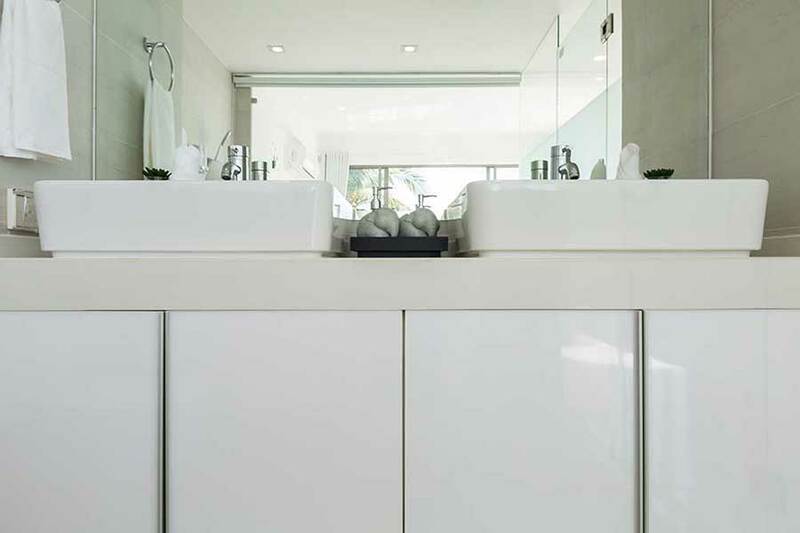 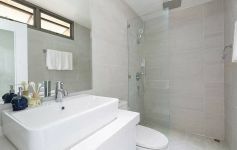 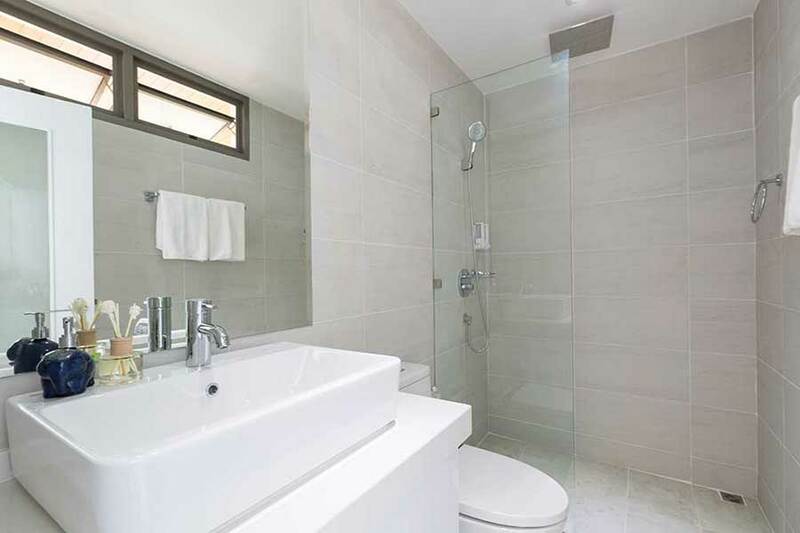 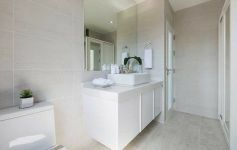 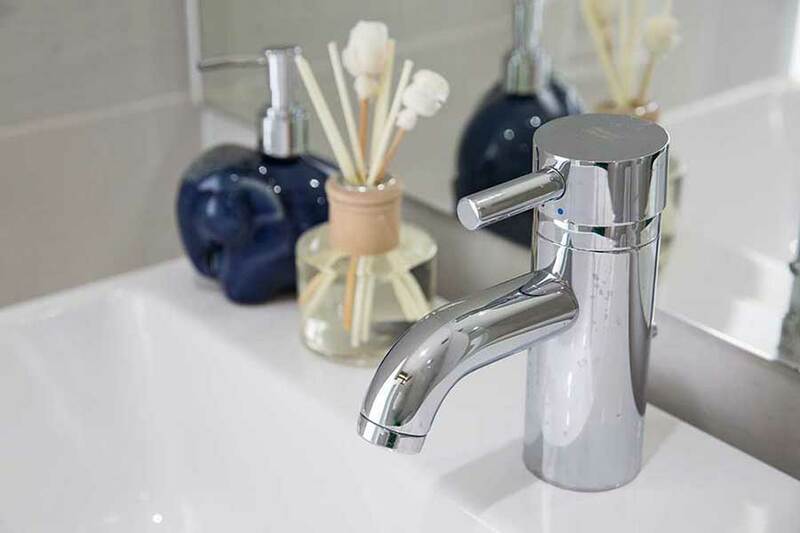 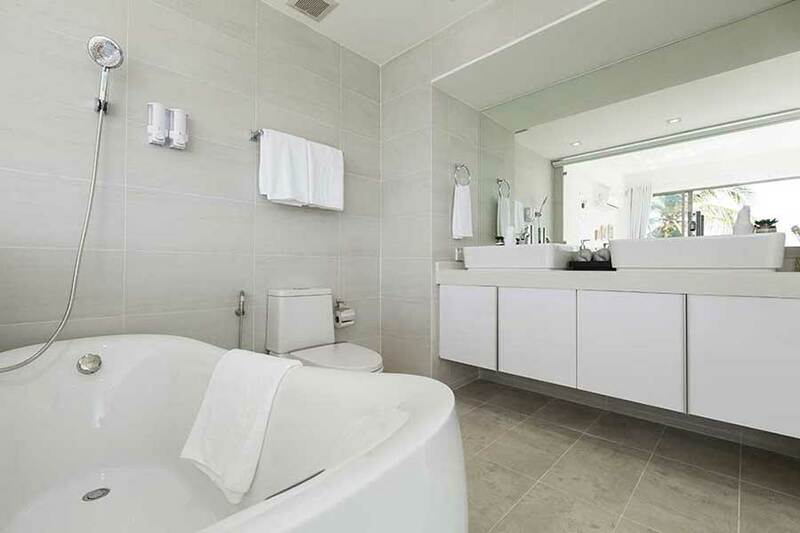 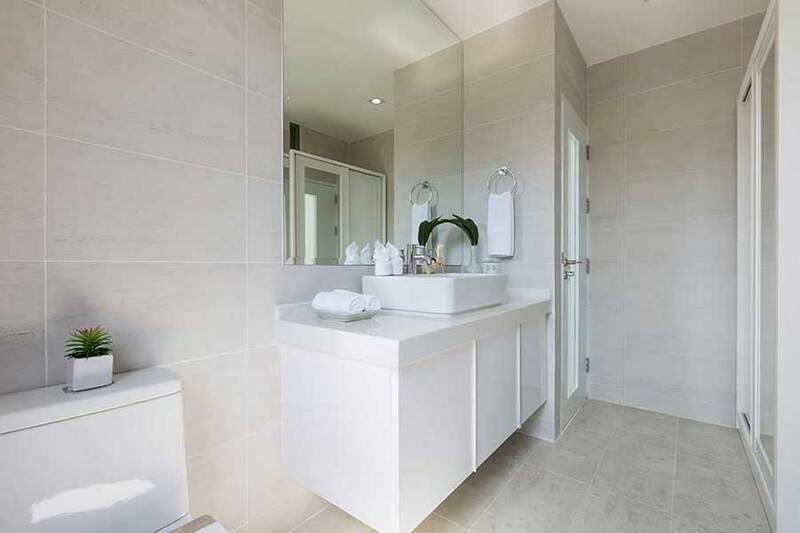 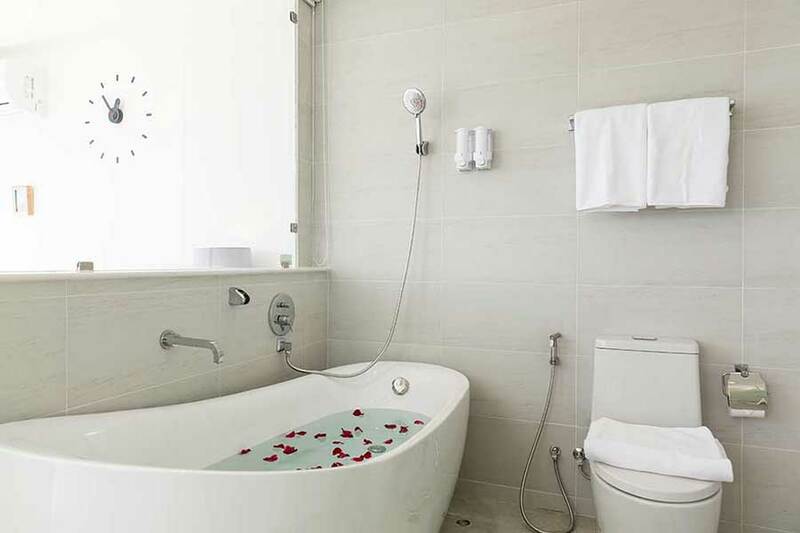 The deluxe master bathroom features two sinks, a shower and separate bathtub. Outside is the private infinity-edge pool framed by ample some decking with glorious views of Chaweng Bay. 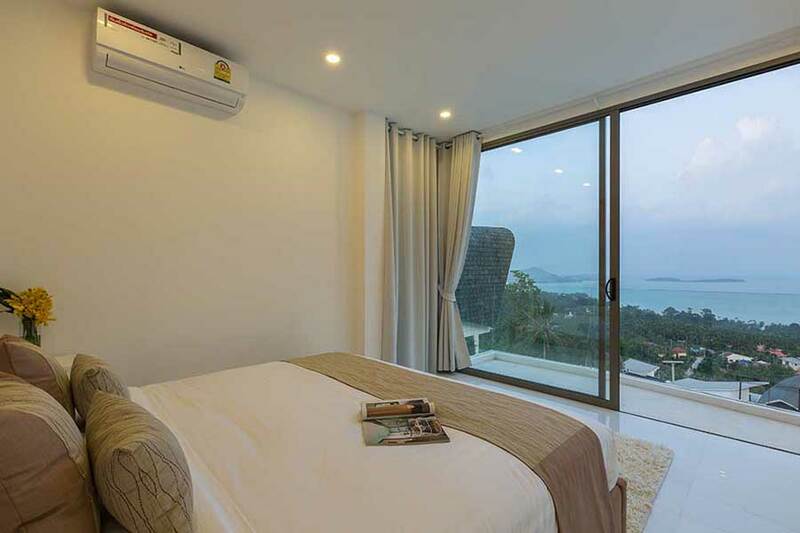 Nara Villas in Chaweng Noi. 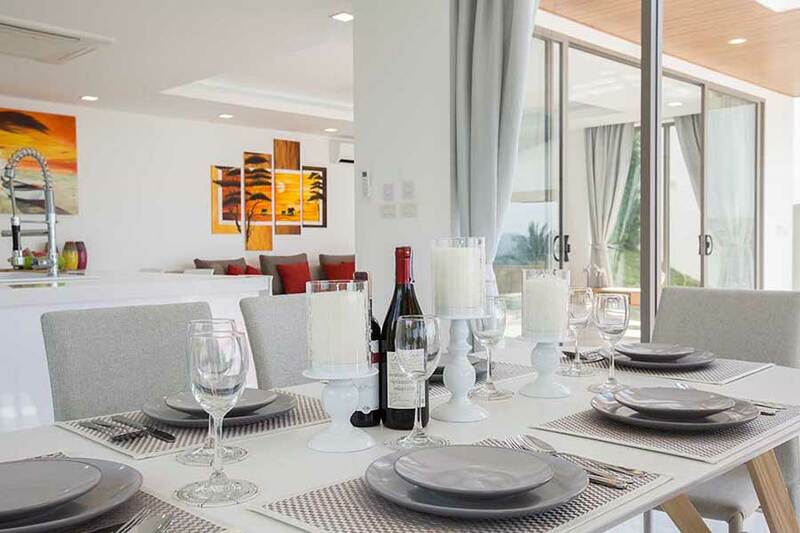 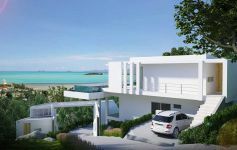 Panoramic 4-bed bay view pool villas in secure gated estate by an award-winning design team. 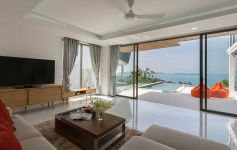 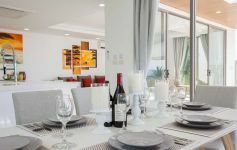 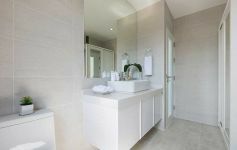 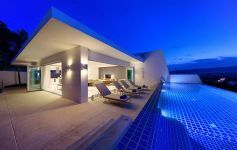 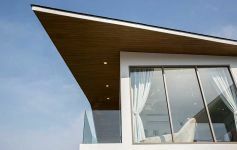 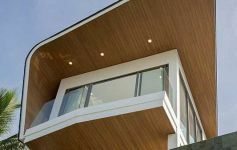 Stunning 4-bed contemporary designer pool villa within award-winning sea view resort development. 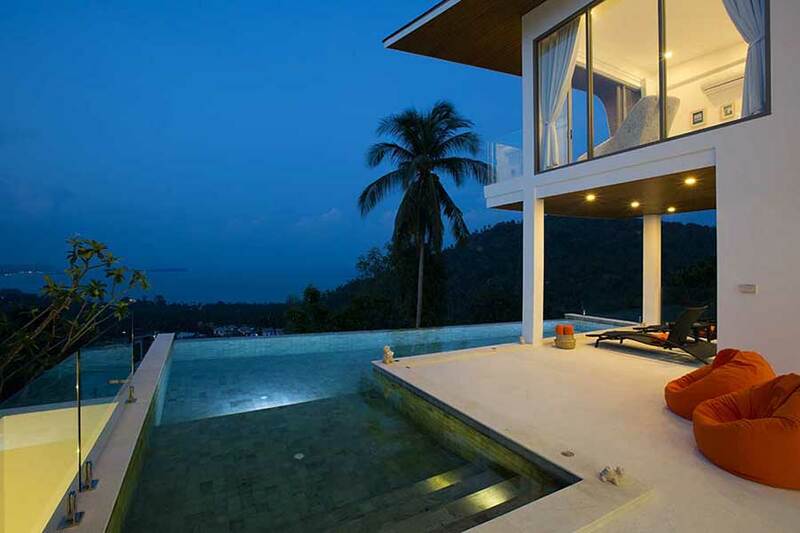 Panoramic sunset ocean views. 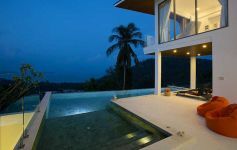 Full resort facilities and estate/rental management. 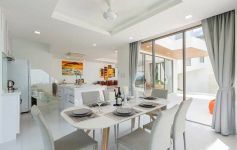 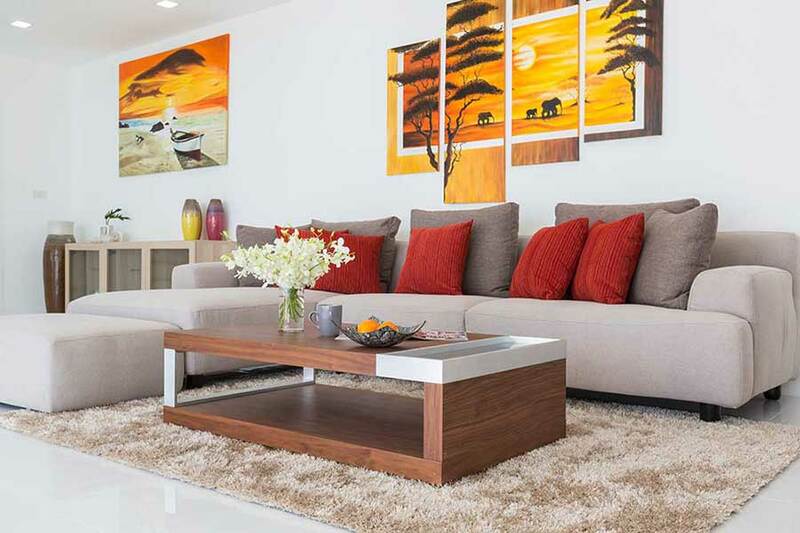 Immaculate 3-bed contemporary villa. 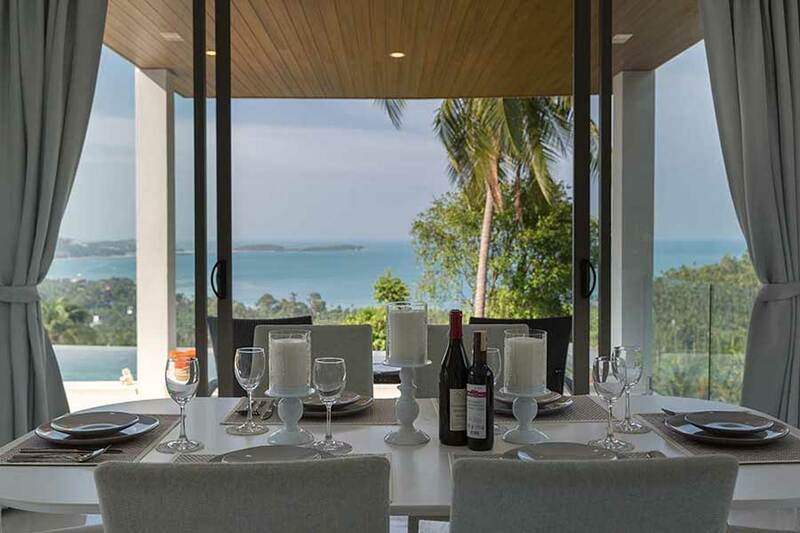 Panoramic sea views and awe-inspiring sunsets. 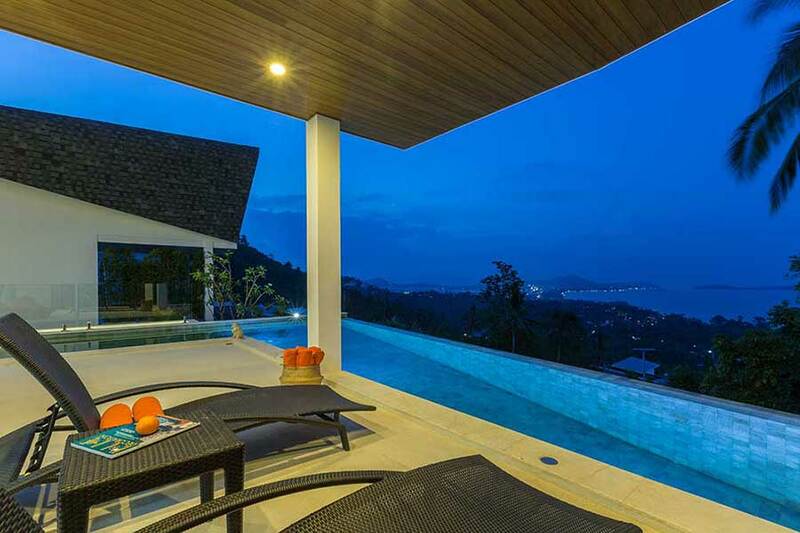 Fully managed gated development at Big Buddha in the desirable north-east. 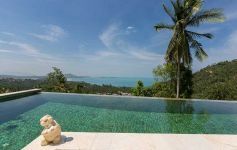 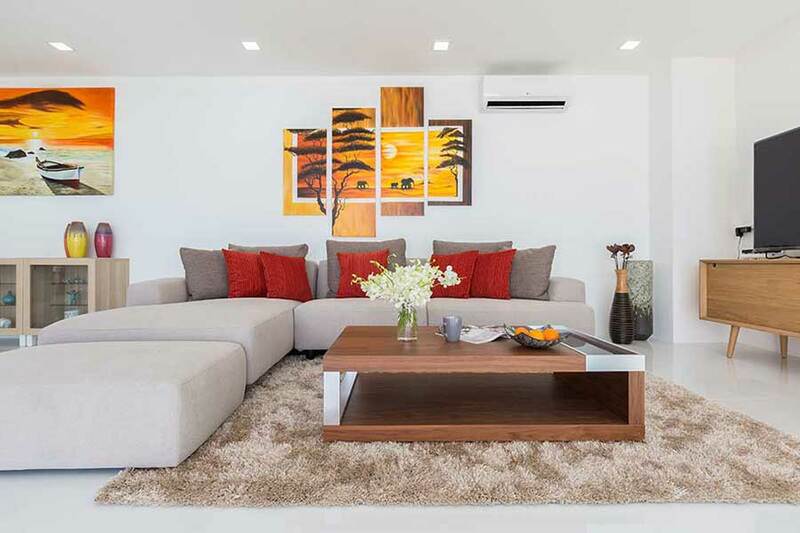 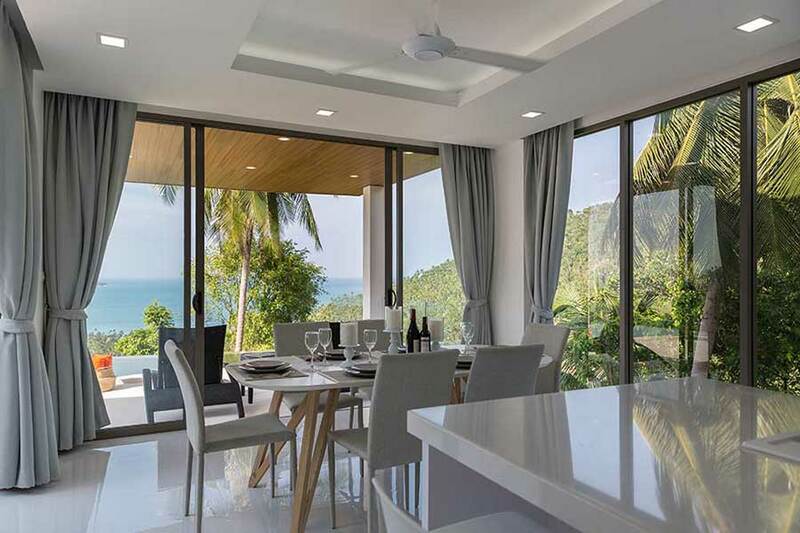 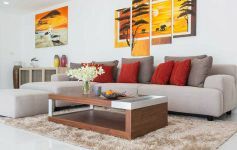 Luxury holiday homes for sale or rent in Koh Samui, Thailand.